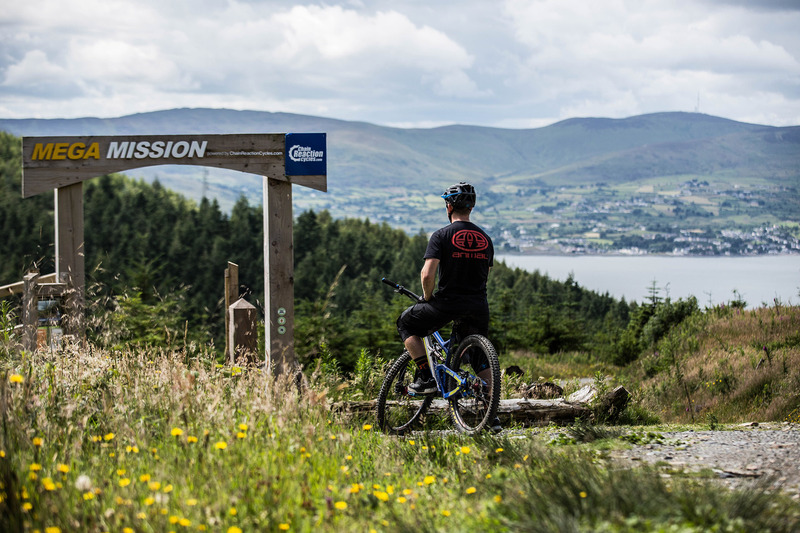 Earlier this summer, Outdoor Recreation NI invited PinkBike.com, the world’s largest online mountain bike platform to visit Northern Ireland’s National Trail Centres in Rostrevor, Castlewellan and Davagh Forest. Boasting over 3 Million active monthly users, PinkBike.com is a truly global mountain bike community with approximately 200,000 riders connecting via this website every single day. With a whole host of renowned mountain bike journalists and photographers on their books, PinkBike.com is arguably the most influential mountain biking platform in the world. ‘Outdoor Recreation NI has always enjoyed a close relationship with PinkBike’s editorial team and has long recognised this website as a key platform to share MountainBikeNI.com content such as news releases and promotional videos.’ enthused Chris Armstrong, MountainBikeNI Marketing Officer. The trip, made possible with funding from TourismNI and Tourism Ireland, was one of the MountainBikeNI Consortium’s key PR objectives for 2015-16.